#1 - Ok, I never talk politics around here (on purpose). You simply won't see it because I think that putting politics in the way of relationships is a bad move. I definitely have my preferences and my firm convictions, but I have a few friends that stand on the opposite side of "the line" and it's not worth (usually) going into particulars and who said what, when, and who wants to change the world in what way. That disclaimer aside, I've been snickering into my sleeve the past week because of the question that has been floating around cyber space: HAVE scientists been honest about global warming? Even CNN has the article posted under their "politics" banner and not the "weather" which should indicate something to someone (somewhere...just sayin'). I've stated my beliefs about "Going Green" before. And my opinion has remained unchanged. As a stickler for honesty in reporting, and having a family friend (a climatologist) being rather ruthlessly condemned (viciously so) for questioning global warming....I smile. Bookworm1 has been watching this video on Youtube, laughing and working on memorizing it (just great, huh?) this week. It's kinda funny. But by January I'm sure I'll be ready for something else. So much for the sacred! My calendar IS marked and I'm wild with anticipation! Jennifer got me engaged with this last Christmas and it was so fun that I'm looking forward to touring again this year. Won't you join in? To find out more about the Christmas Tour of Homes, CLICK HERE. And then spend some time browsing Nesting Place which has to be the most awesome home decor blog I've ever seen, full of great tips for decorating your own home this Christmas season. Awesome stop! Those lockets? Gorgeous! Maybe I'll ask for one for Christmas so I too can feel all Anne-with-an-e-ish! 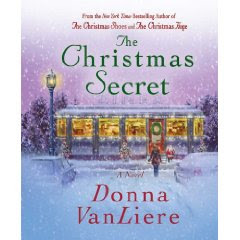 Totally putting my name in the hat for the Christmas novel since I have NOTHING to read--horrors! Love your list and love your skippy mood! Hi Carrie! 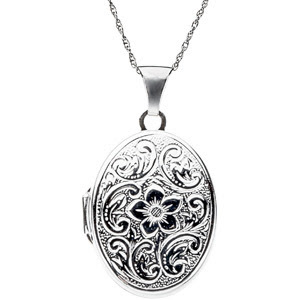 Hope someone who has you on their list reads your blog and buys you one of the lockets :0) Very pretty. Those lockets are very pretty. Are you getting one for Christmas??? I love lockets, even though I never put any tiny little pictures in them. I did the Christmas Tour of Homes a couple of years, but since it is pretty much the same every year, I wasn't too excited about reposting it after a while. Those lockets are beautiful!!! I'm very tempted. :) You've almost convinced me to join in the Tour of Homes. I sort of snickered when I read that news about Global Warming. I have a locket just like that one - given to me by my dh around 20 years ago. It has a picture of my 5 in it - a very tiny picture! I'll go read your review of The Christmas Secret after breakfast. Have a happy weekend. Have a wonderful skippy weekend. Gorgeous lockets. I would love either of them. The whole green issue really is more politics than anything else. In my city we are charged a recycling charge on our city taxes but have to take our recycling to bins located at various spots. We keep a big bin on our back deck for the recycling and take it in once a week. I'm with you on the climate science. Even if the issue were set aside, the methodology in the science involved seems deeply flawed, as recently revealed. Thank you for posting about that. Those lockets are great and I love the song. Very funny. ps. my header is from the cutest blog on the blog. they have some great and free stuff.